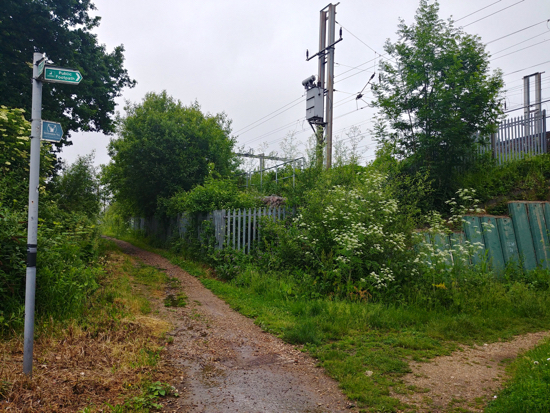 This is our second linear walk from Potters Bar station to Brookmans Park station. 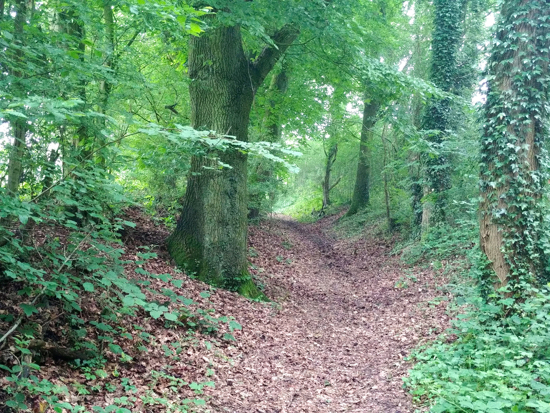 The first, Walk 68, returned via the west side of the railway track skirting both Furzefield Wood and Brick Kiln Wood. 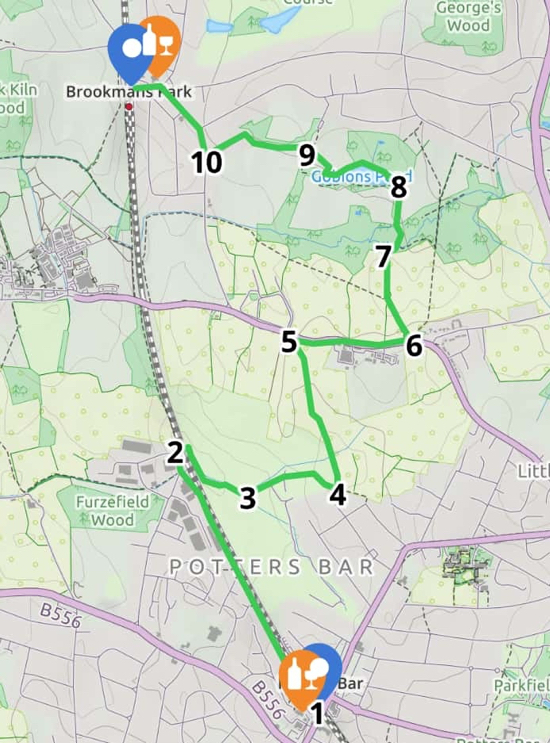 This walk returns via the east side of the railway track, crosses the Potters Bar golf course, and passes through Gobions Wood. 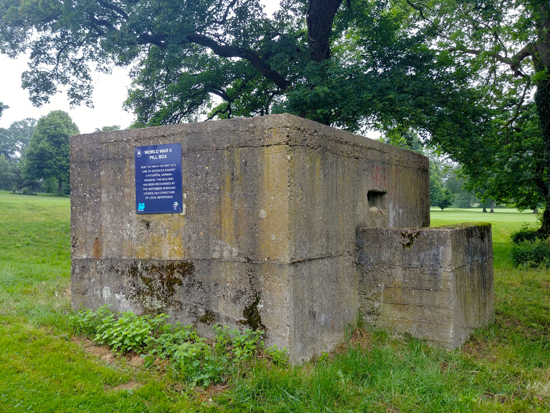 On the way across the golf course you will come across two WWII pillboxes. The route covers part of a much longer walk on this site, the 12-mile North Mymms Way. The journey between the start and finish points can be by train or by catching the 610 bus. The numbered directions below relate to the numbers on the map above. 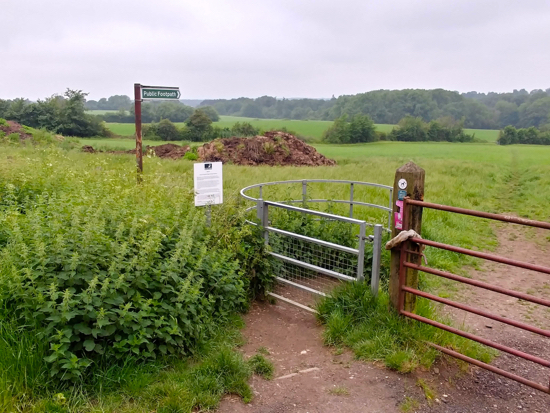 The walks also include the numbers of the official Hertfordshire County Council footpaths, bridleways and byways that appear on some of the footpath signposts. As with all our walks we recommend taking the Ordnance Survey map for the area or downloading the OS smartphone app. 1: Leave Potters Bar station via the car park and turn right heading north, first through the car park and then on a footpath along the western side of the track. 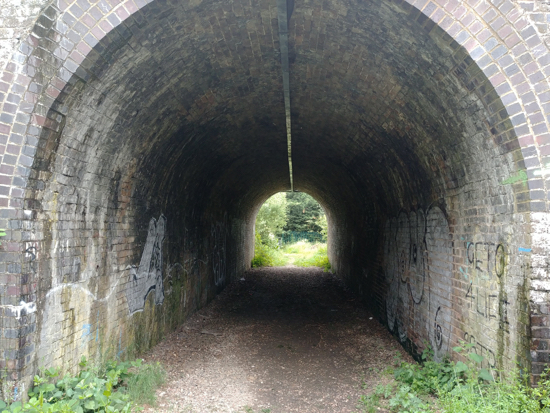 2: After about half a mile, soon after the path meets Cranborne Road running through the Cranborne Industrial Estate, look out for a footpath sign pointing to a tunnel on your right. Go through the tunnel. At the other side, turn right on footpath 5. 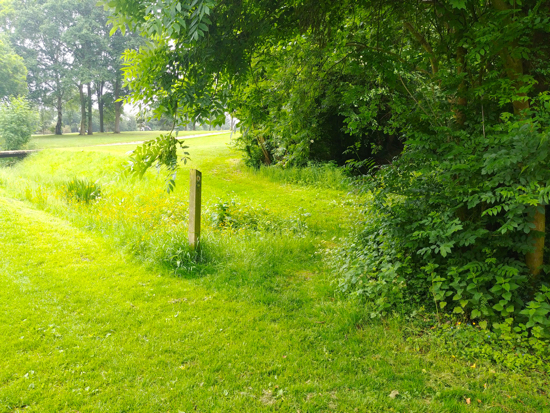 Continue walking along this path heading south with the railway track on your right until the path turns sharp left at the point where it reaches Potters Bar Brook. As you turn left here you will see the remains of the first of two WWII pillboxes at grid reference TL 24478 02353. The gate at the other side of the tunnel. Turn right here. 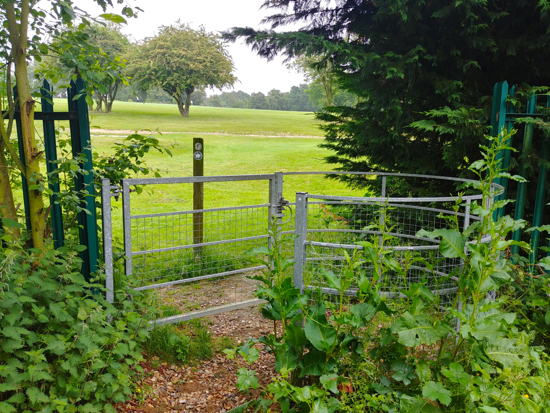 3: Continue across the golf course following the small posts that indicate the route of the public footpath - and of course looking out for flying golf balls. 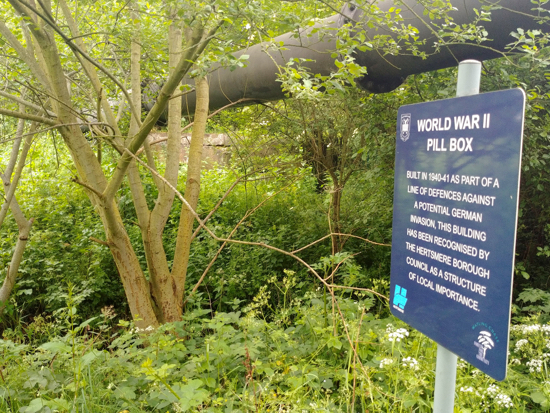 Eventually you pass the second WWII pillbox on your left at grid reference TL 24901 02413 before the path turns sharp right and climbs through a shady wooded area. Continue along this path until you reach a gate on your left. 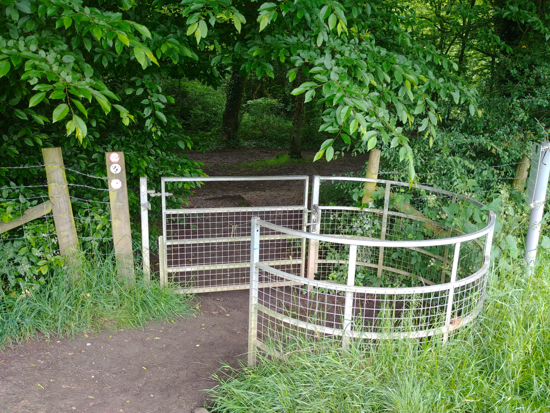 4: Go through the gate taking footpath 3 as it climbs north and continues over three fields. At the final field head for the five oak trees straight ahead on the horizon. At the top you reach a gate that leads out to Hawkshead Road. 5: Don't go through the gate but, instead, turn right and walk east with the field on your right and the hedgerow on your left. This is a permissive path between Royal Veterinary College (RVC) buildings. Pass Boltons Park Farm, cross Hawkshead Road, and continue walking east along the north side of Hawkshead Road. 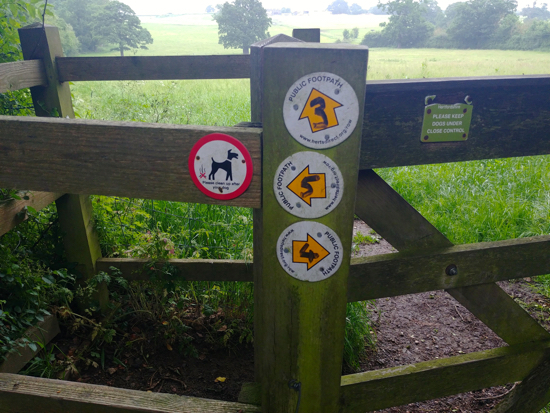 Look out for a footpath sign on your left pointing north-west across the fields. 6: Take this path and cross the first field. 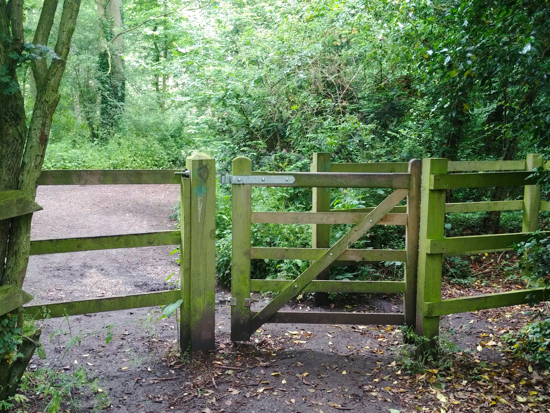 When you reach a gate, turn right and head due north with the hedge on your right and the field on your left until you reach a metal gate leading into Gobions Wood. 7: Once in Gobions Wood turn right, cross the first footbridge, turn left, cross the second footbridge, and then continue straight heading north along a path that eventually leads to a gate leading to Gobions Open Space. 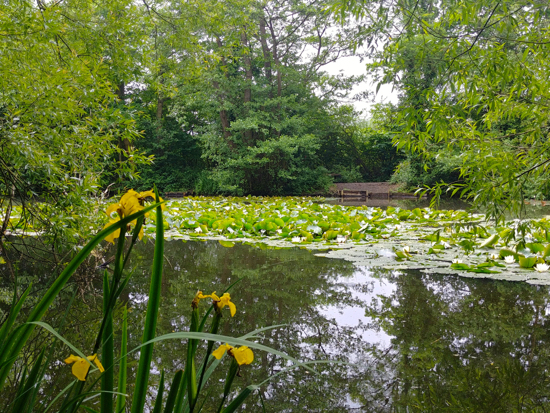 8: Go through the gate and turn right following the path round to the left keeping Gobions Pond on your left. Eventually you reach an open field. Continue straight across the field heading to the left of the play area. 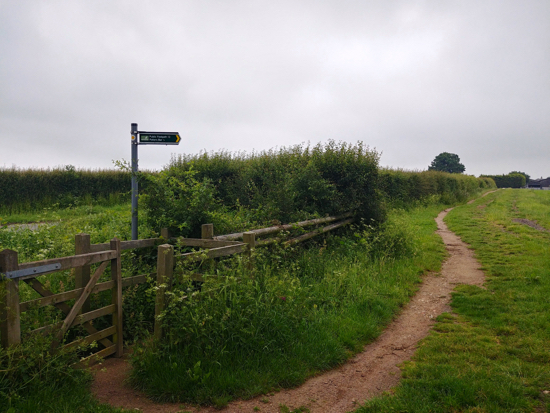 9: Go through the gap in the hedge just below the play area and continue heading west with the field on your left and the hedgerow on your right until you reach the western end of the field. Then go though a gap in the hedge and reach the top of Bluebridge Avenue. Go through the gate, walk down Bluebridge Avenue until you reach Bluebridge Road. 10: Turn right on Bluebridge Road and walk north back to Brookmans Park village centre.